Do you have a class pet? 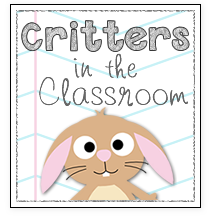 I just posted all about mine over at Critters in the Classroom. If you have not yet visited this new blog started by Erica Bohrer, come on over for a visit! I also wanted to give a shout out and words of encouragement to some new bloggers. I was asked for advice on building followers and directed them to a post I did on that very topic. You can read it here if you are interested. 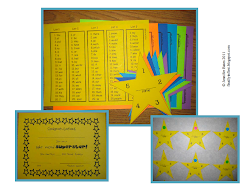 Mrs. Wright at First Grade Journal is new and already has freebies up, go girl! 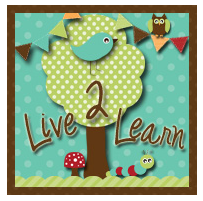 Sweet Ashley over at Live 2 Learn was a victim of budget cuts and is without a teaching position this year. I think it is great that she started a blog and is keeping her head and heart in teaching until she can be back in the classroom! Thank you for sharing new blogs to visit! I thought I had been following you but now I am for sure! I LOVE your blog and it was inspiration to start my own! I would love for you to come visit! I have TONS and TONS of *freebies*! You are welcome! I am following you, too! Thank you so much for the shout out about my blog on yours! 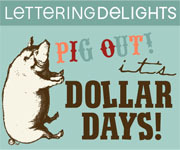 I am slowly getting used to how to do things blog style and cannot wait to figure out how to do everything else! And I love how cute my blog is! I cannot believe it is all mine. Thanks again for everything:)! Awwwww, thanks Jenn for the shout out, I just love my extended blogging family, lol, Anyhoo, thanks so much for your help and support. Your blog has been really helpful and inspirational. My pleasure. I hope you get some visitors. Your blog is amazing! Thanks for your tips on building followers! Hi! Your tips are great...thanks! I am brand new to the blogging world, and I am definitly going to try those tips out. Thanks for the tips! Like lots of us teachers out there, my bestie and I are new to the blogging world and so far we are loving it! Such a great community to be in! If only I had known about all of you amazing gals back when I was student teaching! Great, So, for 2012 I'm getting in shape and being focused on diet and exercise as a coordinated effort. I'm thinking, It would also be beneficial to determine how many calories your body burns and how many calories you should eat per day. Then you would have some accuracy in adjusting your diet for weight gain or loss. I have found an online calculator that will tell ya how many calories your body is burning and how many calories you should eat per day. For anyone interested the website is how to gain weight and the rmr calculator is located at RMR Calculator . I'm looking forward to being in top condition in 2012. Hi guys, here are some cool Christian Praise, music / songs if you would like to check them out. New Book Club Packet and a FREEBIE!